"Human rights belong to every one of us without exception. But unless we know them, unless we demand they be respected, and unless we defend our right - and the right of others - to exercise them, they will be just words in a decades-old document. " 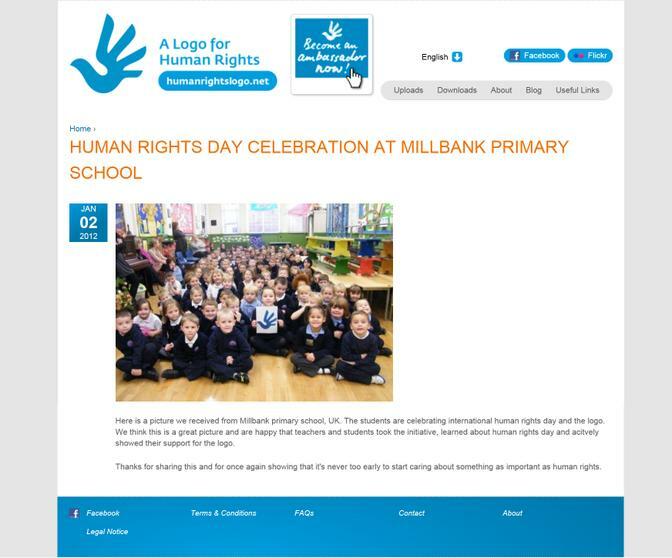 We celebrated Human Rights Day by encouraging pupils and the wider community to visit theCelebrate Human Rights website and learn about some of the 30 Human Rights. 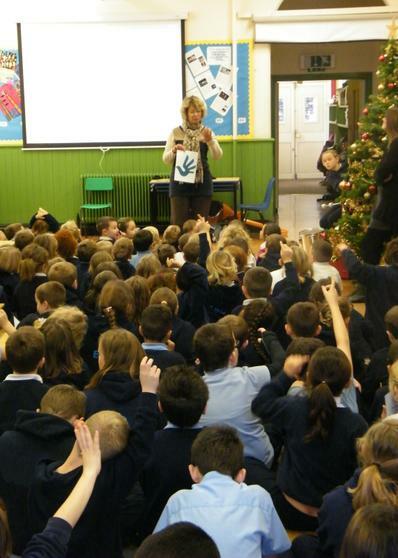 We are proud to be a UNICEF 'Rights Respecting' school and a UNESCO Associated school both of which include making children aware of their rights. 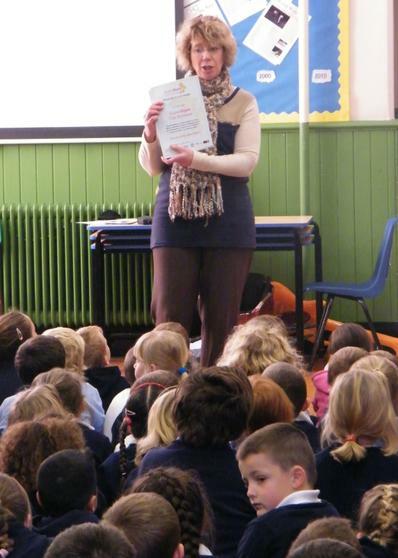 Miss Allen reminded the children about how Children's Rights as outlined in the UNCRC are seen as being in addition to our Human Rights, because children are seen as 'developing' and need extra care. Part 1b of Article 29 of the UNCRC says that education must develop "..respect for human rights and fundamental freedoms, and for the principles enshrined in the Charter of the United Nations." The Guinness Book of World record has the Universal Declaration of Human Rights as the most translated document ever. It is available in over 300 languages and dialects (including Welsh). But sadly most people do not know much about them or understand them. In the news recently has been lots of negative stories about Human Rights, with the Rights often beingdeliberatley misrepresented. 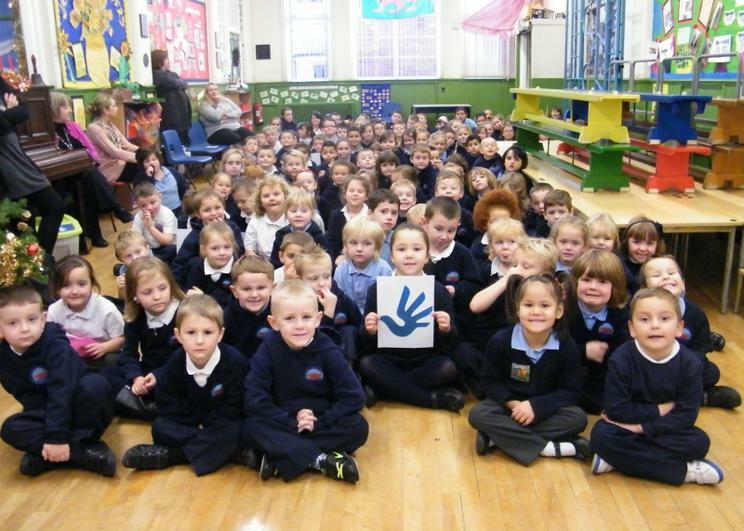 Miss Allen also showed us the new logo that was launched this year to help promote Human Rights. The “free as a man” design, based upon a human hand and a bird in flight. It was created by Serbian designer Predrag Stakić.The logo was chosen by people from around the world and is free to be used by everyone, everywhere, without restrictions — "for the purpose of promoting Human Rights". You can see a little video from Aung San Suu Kyi (herself described as 'a symbol for freedom' and Human Rights around the world) about why it's important to get a logo. 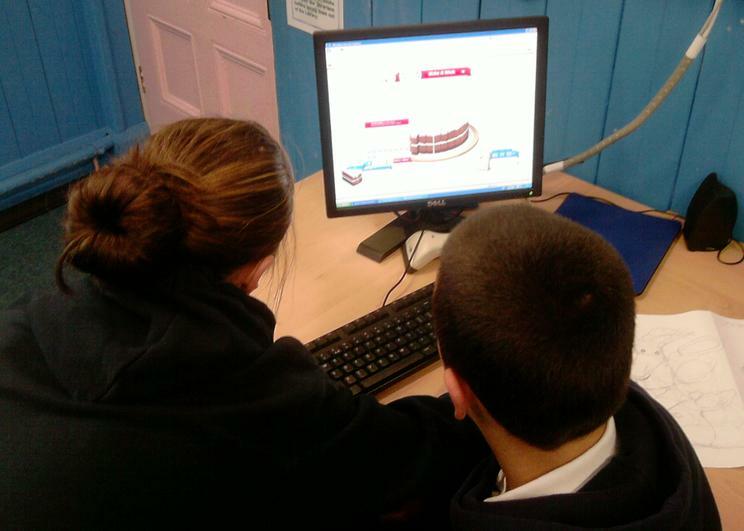 Of course when the children learn about graphics in art and ICT. They know only too well the importance that a recognisable logo can have in promoting a message or a brand. We try hard to promote Children's Rights at Millbank too and so Miss Allen and the two Ambassadors for the Children's Commissioner in Wales asked the children to think about a logo that we could use in the same way for Children's Rights. 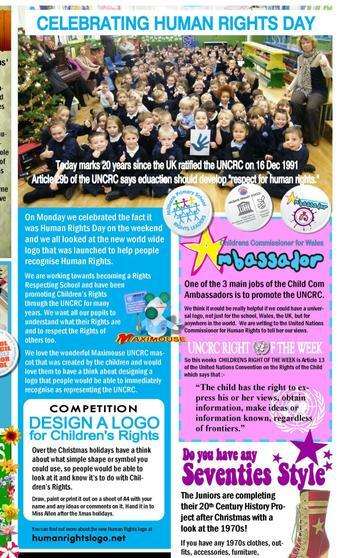 They have also written several letters to see how we could get a universal logo for Children's Rights too. Last year the children designed the wonderful Maximouse from recycling milk cartons and we use him as a Mascot to promote the UNCRC around the school. Again the children see Max and know that it is about the UNCRC and how their Rights.You can see some of the infants making some of the 'Mouse-COTS' and choosing what right they want to add here. You can read more about Predrag Stakić and his design together with the award ceremony at the German Embassy page here. There were thousands of designs but the 10 above were chosen to be put to a worldwide vote. The simplest design is often the best and of course the main purpose is to get the children working with their families to learn more about Human Rights. Human Rights Day is celebrated every year on the 10th of December. 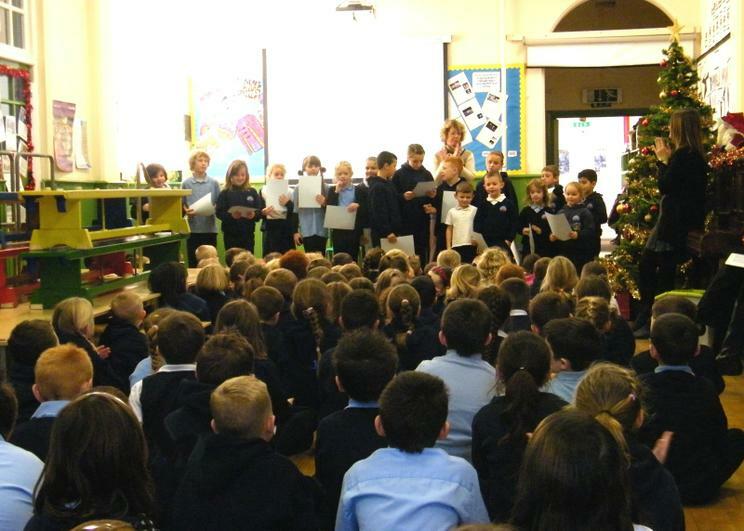 This year it fell on a Saturday so we celebrated it in Assembly on the Monday. Last year the Ambassadors visited the EQUALITY and HUMAN RIGHTS COMMISION. 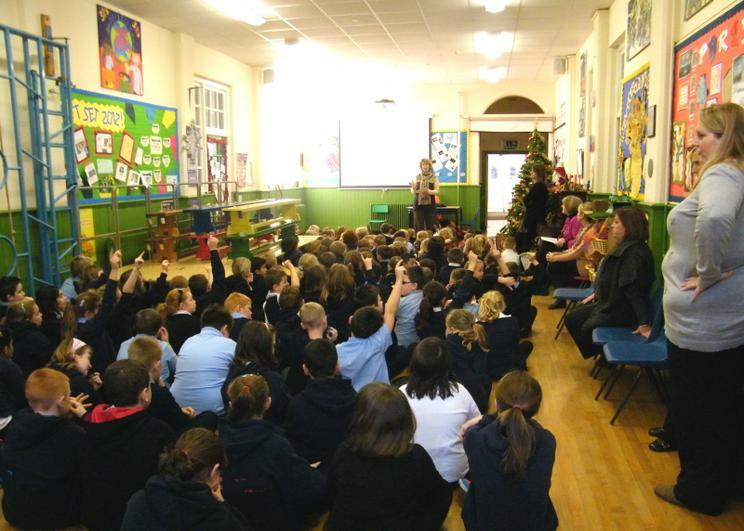 (EHRC)and asked some questions of Mrs Kate Bennet the Director for WALES about her work. Last week 3rd December was of course the INTERNATIONAL DAY for PERSONS WITH A DISABILITY and this was also in our weekly parents newsletter. 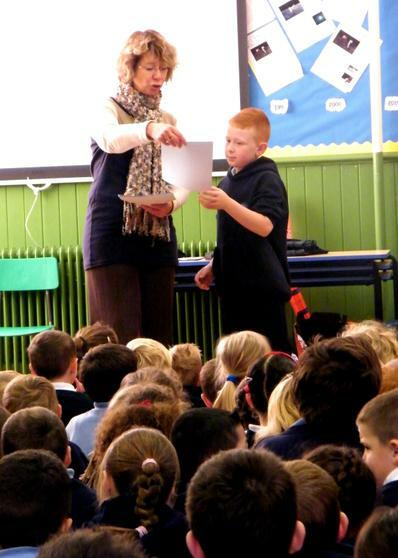 We use our newsletters every week to involve parents and school governors in the work the children are doing. 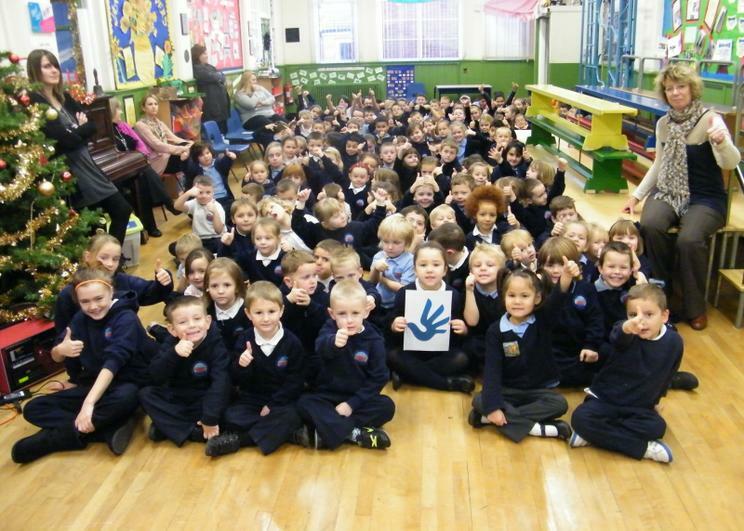 This year -2012- also marks 10 years of the weekly parents newsletter at Millbank. 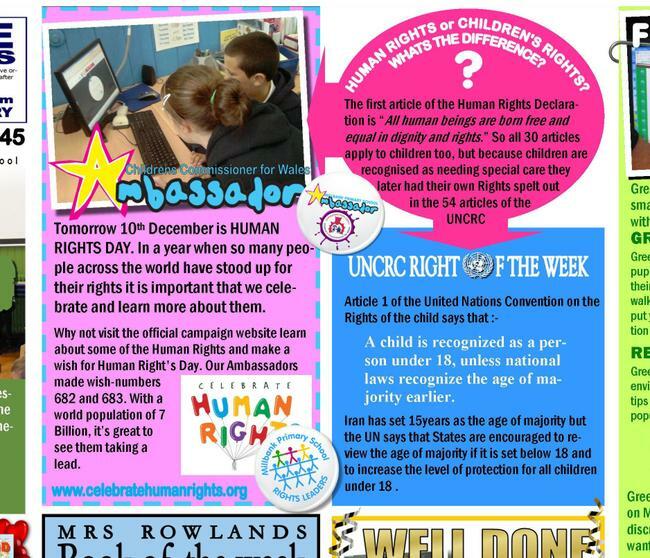 We try and put a 'Children's Right of the week' in the newsletter and use some of the UN logos so pupils and families learn a bit more about the UN system and try to make the stories as relevant as we can. Millbank has a reputation for having a global outlook. The children have really enjoyed doing lots of work on global education for many years, and we are also a GET SET school so every week we have Olympic values. Of course Mr Peter the head teachers from the AMAF schoolsin Nairobi has enthused the whole community with Kenya so the little story of Anne Strike seemed ideal. Below is the logo of the Office of the High Commission for Human Rights with a photo of Navanethem Pillay the UN High Commissioner. 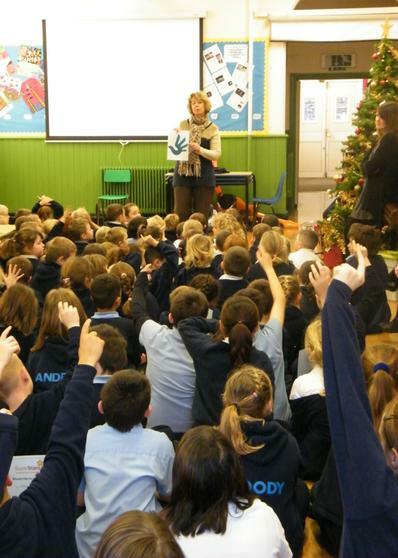 If you have any ideas as to how we can learn more about Human and Children's Rights. We'd love to know. The Equality and Human Rights Commission (EHRC) has several links telling people about theirHuman Rights. Our pupils enjoyed exploring 'Dignity Drive' a simple interactive guide to the Human Rights Act, and the EHRC own special page about how they celebrated HUMAN RIGHTS DAY. Direct Gov also has a special page.